When you visit our flooring store, we will walk you through our incredible catalogue of unbelievably beautiful floors. Each and every option we have is sourced from the finest manufacturers in the industry, ensuring that you get beautiful floors that last. 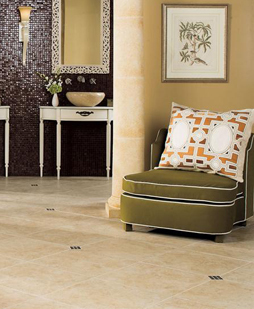 Whether you want a modern, sleek floor or something more traditional, we have what you need. If you treat your floors right, they will last for years. Get the most from your purchase by ensuring that you are taking proper care of your new surface. Each of our options are designed specifically to hold up to years under the strains of modern life. However, that does not mean that they are invulnerable. Fortunately, our home flooring options are designed to be easy to maintain. Simply discuss the details with one of our experts to learn the best way to properly maintain your floors. We have the expertise needed to direct you to the best products and practices to ensure your floors maintain beauty and value. The only way to ensure that your new floors are as perfect as they can be is to have skilled professionals handle your flooring installation. That is why we offer the finest installation services in the industry. Our team of certified contractors will flawlessly install your floors to specifications, ensuring that they look great and last for years. Anything less than a flawless installation can result in an unsatisfactory appearance and a much shorter lifespan. Let us take care of the entire process, from measuring the space to finishing it flawlessly. With us on your side, you’ll get the absolute best flooring that the industry has to offer. Get in touch with a member of our team today to find out why we are the trusted name in the industry. Contact us for the comprehensive flooring services you deserve. We are proud to serve Jersey Village, Spring Valley Village, Cinco Ranch, Bellaire, Cypress, Texas, and the surrounding area.